In a small bowl, combine the mayo, hot sauce and lemon juice. Stir until combined and set aside. In another little bowl, combine the herbs de provence, paprika, Arizona Dreaming, garlic powder and cayenne. Toss over the shrimp, coating them. Heat the oil in a medium skillet. Add the shrimp and sear on one side for 2 minutes. Flip and sear 30 more seconds. Remove from heat. Spread the mayo along the inside of the baguette. 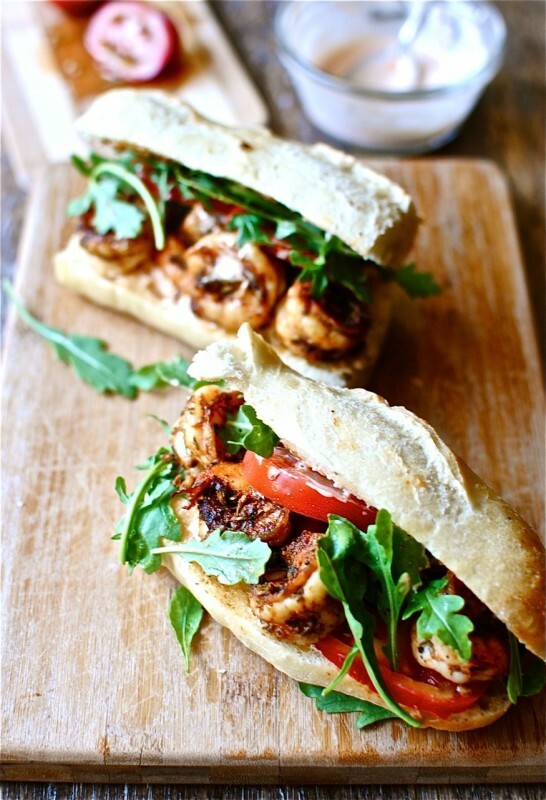 Layer with tomato, arugula and seared shrimp.